From the Symphony Pois Moi collection, this Roberto Coin bangle bracelet is a stellar accent piece. It's forged in 18K yellow gold, and small divots grace the top and sides of this piece to give it great cosmopolitan flair. 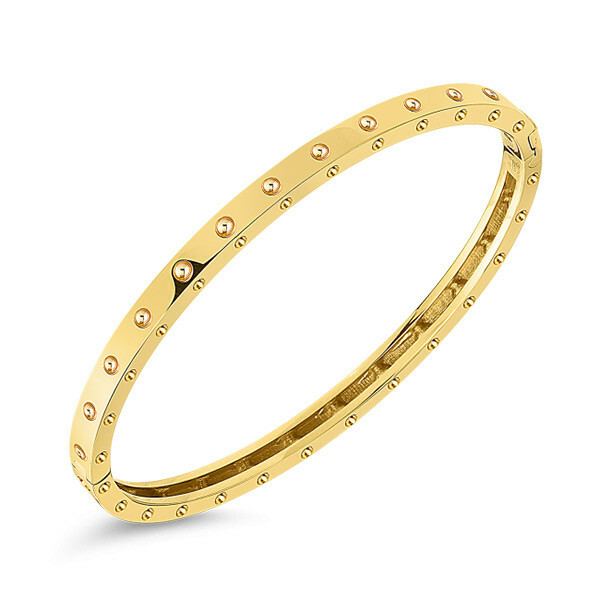 This stunning bangle from Roberto Coin can be worn layered or simply solo.